The story of Anne Boleyn has been told so many times, in many different ways. The story is legendary. One man's ambition to have a son and one women's ambition to haves kingdom. 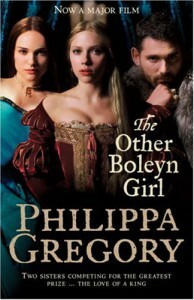 This story takes the point of view of Mary Boleyn, Anne's sister. Every page of Gregory's novel is engaging and beautiful. Sheer delight to read.